Defra Minister Lord Gardiner has today formally launched the National Garden Scheme for 2019, with more than 3,500 private gardens opening their gates to visitors every week to the end of October. Now in its 92nd year, the National Garden Scheme opens thousands of beautiful privately-owned gardens for charity, ranging from impressive country houses to inner-city green spaces, community allotments, hospices and school gardens. While a selection of the gardens have been designed professionally, the majority showcase the amazing skills and talents of ordinary people in their own back garden. Speaking at today’s launch at London’s Royal Festival Hall, Lord Gardiner celebrated the achievements of the National Garden Scheme and the physical and mental health benefits available from spending times outdoors. It comes as the government champions its Year of Green Action, a year-long drive to connect more people with the natural world. “The natural world plays a vital role in improving our mental and physical wellbeing. I am delighted to launch formally the National Garden Scheme for 2019, opening up access to some of the country’s finest gardens. Congratulating the National Garden Scheme on announcing annual donations of £3 million, Lord Gardiner emphasised how the charity is leading the way in championing the link between gardens and health – powerfully illustrated by its donations to the charity Horatio’s Garden which builds gardens for hospital spinal units. 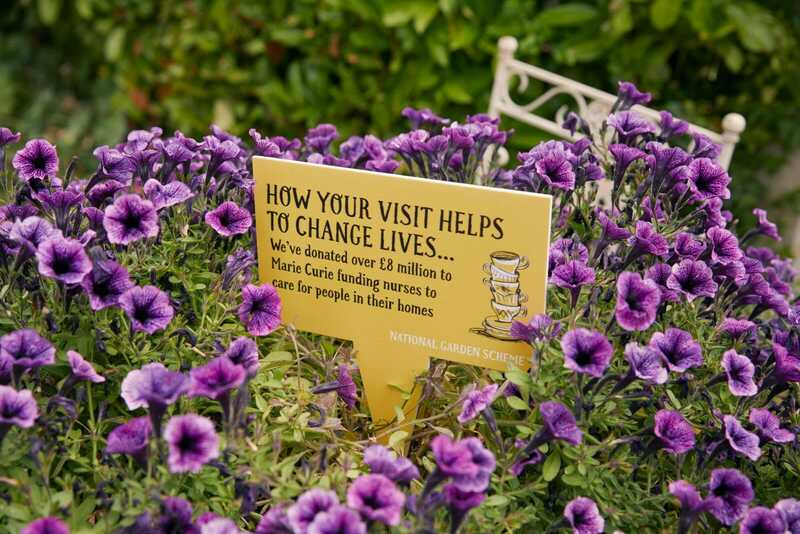 Originally set up to support district nurses, the National Garden Scheme donated £8,000 in its first year and is now the most significant charitable funder of nursing in the UK. This year, the charity has continued to make an annual donation of £500,000 to Macmillan Cancer Support, Marie Curie and Hospice UK, as well as £250,000 to its founder, the Queen’s Nursing Institute. Carers Trust, Parkinson’s UK and Perennial also received funding for their vital work in health and social care. Since the 2016 launch of the ground-breaking report Gardens and Health which the National Garden Scheme commissioned from the King’s Fund, it has given annual donations to charities for projects which promote gardens and health. As well as two new donations to Treloar’s and KIDS, a special announcement was made of funding for all future gardens being made by Horatio’s Garden. The National Garden Scheme also spent £190,000 granting bursaries to support gardeners at the start of their career and in partnership with the RHS, spent £16,200 to fund community gardening projects in memory of the garden writer Elspeth Thompson, who died in 2010. In 2019, 3,500 exceptional private gardens will open to the public in England and Wales, through the National Garden Scheme, raising money for nursing and health charities through admissions, teas and cake. 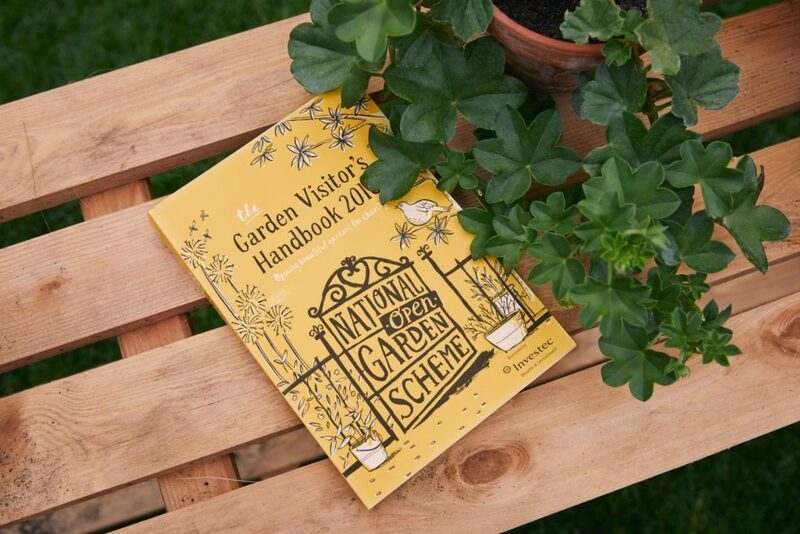 To find your perfect garden, visit ngs.org.uk, download the National Garden Scheme app or purchase the National Garden Scheme’s Garden Visitor’s Handbook 2019, which is available via ngs.org.uk/shop and at all good book retailers. The National Garden Scheme gives visitors unique access to over 3,500 exceptional private gardens in England and Wales, and raises impressive amounts of money for nursing and health charities through admissions, teas and cake. Thanks to the generosity of garden owners, volunteers and visitors we have donated a total of £58 million to nursing and health charities, and made a donation of £3 million in 2019. Founded in 1927 to support district nurses, we are now the most significant charitable funder of nursing in the UK and our beneficiaries include Macmillan Cancer Support, Marie Curie, Hospice UK and The Queen’s Nursing Institute. The National Garden Scheme doesn’t just open beautiful gardens for charity – we are passionate about the physical and mental health benefits of gardens too. We fund projects which promote gardens and gardening as therapy, and in 2017, we launched our annual Gardens and Health Week to raise awareness of the topic. To find your perfect garden, visit ngs.org.uk, download the National Garden Scheme app or purchase the National Garden Scheme’s Garden Visitor’s Handbook, which is published annually and available via ngs.org.uk/shop and at all good book retailers.